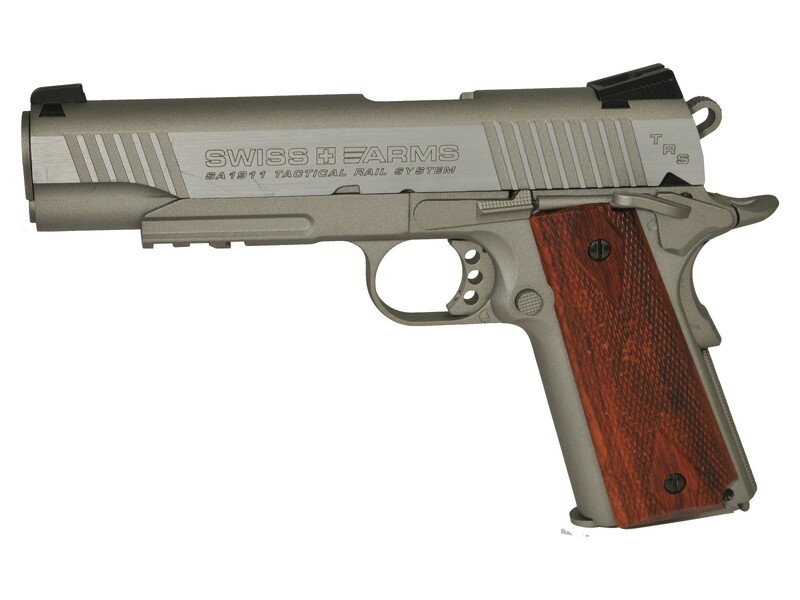 A full-metal replica of one of the most iconic American handguns, this Swiss Arms SA 1911 gives fans of historic pistols exactly what they're looking for. With realistic heft, load up a 12-gram CO2 cartridge to send 18 BBs downrange at speeds up to 320 fps! Take hold of the checkered polymer grip to steady your aim as you look down the fixed sights. Add a flashlight or laser to the Picatinny accessory rail to practice your tactical shooting. The best feature? Realistic blowback that locks the slide back when you're out of ammo. Pick up another magazine to stay in the action. Things I liked: This is the tricked out version of the GI version by Swiss Arms. Like the GI version this one is really nice. The fit and finish is superb and it feels good in the hands. The blow back action is terrific feeling and the trigger is decent. It out shoots me. I found there to be no issues as to performance and i get good groups with the Smart Shot BB's in my basement range. Looks like the real deal and i doubt most people could tell the difference. What others should know: Nothing really..... you can't go wrong for the price and Pyramyd Air is great to deal with. The first one i received had a fracture at the back of the slide and they took it right back and replaced it with another one and they redid the 10 shots for 10 dollars as well. 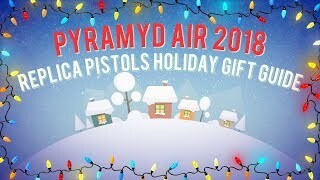 I've had great dealings with Pyramyd and it keeps me coming back to add to my growing collection of replica air guns. I bought three air guns P08 Luger, The Swiss Arms Tactical and the Beretta p92. The best shooter was definitely the Swiss Arms second would be the Luger P08 and then the Beretta. But I like them all the realism is amazing. Things I liked: Looks great. "Grain" in the grips and their wood look are far better than can be shown here in pictures. Very attractive and well functioning example of the KWC manufactured 1911. Love the tactical look, trigger, beavertail grip-safety, and sights. Things I would have changed: Would love all these features minus the picatinny rail. Just a preference; nothing wrong with it. What others should know: Front of the barrel is threaded and comes with a threaded adapter for a fake silencer. Things I liked: I bought this as a gift. I loved the feel of it and the realism. Also it shoots great. Would love one myself. Things I would have changed: I would'nt change anything about this. The sites are great and it shoots great. can .177 lead ball work for this pistol? I have a Hogue grip from my 1911 than I am not using. Are the grips changeable or fix on this 1911? Yes, the grips are changeable. Others have already beaten you to the punch and put Hogues on this. Do you know if theres a suppressor or mock silencer for a KWC, SA 1911. Im in the u.k. also what is the full cost including post & packaging for the air venturi mini Uzi suppressor. Yes, there are mock suppressors for it. You'll most likely need 14mm thread. This is not a customer support forum. Shipping costs for individual products are shown below the 'Add To Cart' button, provided you are logged in and your address is entered in your account. Swiss Arms SA 1911 TRS...realistic!